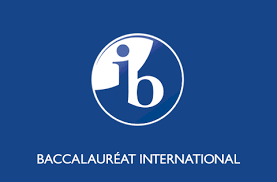 The International Baccalaureate Organization (IBO) is a non-profit international educational foundation headquartered in Geneva, Switzerland and founded in 1968. IBO works with governments and non-governmental organizations across the world and has consultative status as a non-governmental organisation (NGO) at United Nations Educational, Scientific and Cultural Organization (UNESCO) and has collaborative relationships with the Council of Europe and Organisation Internationale de la Francophonie (OIF). The IB Diploma Programme is an academically challenging and balanced programme of education with final examinations that prepares students, aged 16 to 19, for success at university and life beyond. It has been designed to address the intellectual, social, emotional and physical well-being of students. The programme has gained recognition and respect from the world’s leading universities. IB Diploma Programme students must choose one subject from each of the five groups (1 to 5), ensuring breadth of knowledge and understanding in their best language, additional language(s), the social sciences, the experimental sciences and mathematics. Students must also choose either an arts subject from group 6, or a second subject from groups 1 to 5. Subjects can be taken at higher level or standard level. At least three and not more than four subjects are taken at higher level (240 teaching hours), while the other subjects are taken at standard level (150 teaching hours). In some schools where the IB is awarded, there may be an option of taking Mandarin as one of the 2 languages that form part of the Diploma syllabus. Ab initio - for beginners who have no previous experience of Mandarin. Standard level only. Language B - for students who have had some previous experience of learning Mandarin. It may be studied at either higher level or standard level. Language A2 – for students who have a high level of competence in the language they have chosen. It includes the study of both language and literature, and is available at higher level and standard level. As early as 2009, CIG started to provide IB Chinese course to students at the International School of Geneva (Ecolint) with Chinese as mother tongue or as a foreign language. Ecolint is the oldest and largest operating international school in the world. In the mid-1960s, a group of teachers from Ecolint (Campus La Grande Boissière) created the International Schools Examinations Syndicate (ISES), which later became the International Baccalaureate Organization (IBO) and then the International Baccalaureate (IB). Ecolint is far ahead in Switzerland from the perspective of IB no matter in faculty or communication with universities around the world. The cooperation with Ecolint has provided CIG with great advantages to develop IB Chinese course. In recent years, CIG IB Chinese course has developed rapidly and becomes our signature course. The above students have all achieved good results in IB Mandarin Chinese, and some received full score of 7.
elementary school students. Generally the candidates should be between (including) 6 and 18 years old. registration. After successfully registering, you will receive a confirmation email. Level 3, CHF 53 for Level 4.
name of candidate. Only registration with confirmed payment will be issued with an admission tickets. same website as you registered) and print it out. It is your responsibility to have the Admission Ticket in paper. 1. This exam does not contain oral test, but only written test. erasers and other necessary exam supplies. 4. Please arrive in time to ensure a smooth exam process. 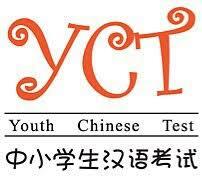 The YCT is an international standardized test of Chinese language proficiency. It assesses young foreign students' abilities to use Chinese in their daily and academic lives. The YCT consists of a writing test and a speaking test, which are independent of each other. The writing test is divided into four levels, namely, the YCT (level I), YCT (level II), YCT (level III), and YCT (level IV). The speaking test is divided into the YCT (Beginner Level) and YCT (Intermediate Level). Test takers who are able to pass the YCT (Level IV) can communicate in Chinese at a basic level in their daily and academic lives. They can manage most communications in Chinese when travelling in China. Test takers who are able to pass the HSK (Level II), having reached an excellent level in basic Chinese, can communicate on familiar daily topics in a simple manner. 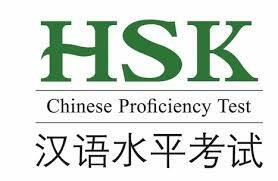 Test takers who are able to pass the HSK (Level III) can communicate in Chinese at a basic level in their daily, academic and professional lives. They can manage most communications in Chinese when travelling in China. The new BCT, as an international standardized test of Chinese language proficiency, focuses on assessing non-native Chinese speakers’ abilities to use the Chinese language in real business or common working environments, and evaluating the language tasks they are able to complete. It aims to provide references for companies to recruit and select employees, for schools and training institutions to organize teaching activities, and for learners to evaluate themselves. The BCT, as a test series, consists of three independent tests: BCT (A), BCT (B) and the BCT Speaking Test. The BCT (A), which is oriented towards beginners, is designed to examine test takers’ ability to communicate in Chinese in daily life and during basic business activities. The BCT (B), which is oriented towards intermediate and advanced learners, is designed to examine test takers’ ability to communicate in Chinese during complex business activities. The BCT Speaking Test, which is oriented towards learners of all levels, adopts the form of a computer-based test as well as personalized and targeted questions to examine test takers’ ability to complete various communicative tasks by using spoken Chinese. 1. A reference for employers to assess non-native Chinese speakers’ (candidates’) Chinese competence in daily work. Test scores can be used as a reference for employee recruitment, selection, placement and promotion. 2. A reference for educational and training institutions to assess students’ business Chinese proficiency concerning recruitment, class divisions, and credits granting. 3. A method for Chinese language learners to improve and evaluate their business Chinese competence.